The bill would turn medical marijuana into a strictly Kentucky enterprise from farms to dispensaries. The cannabis would be grown and processed in the state. 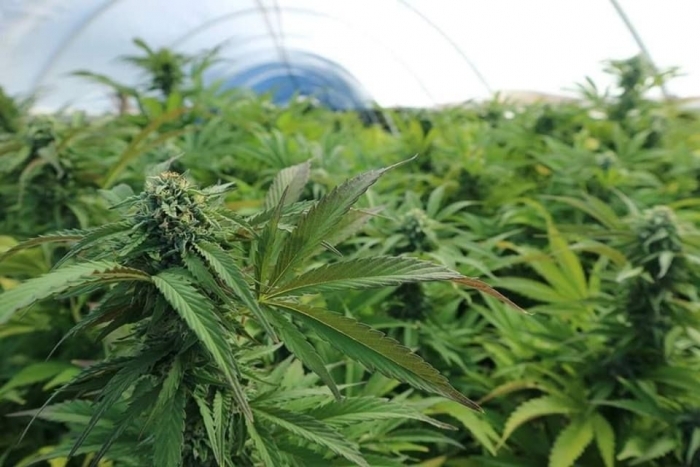 The measure includes regulations for growers, processers, medical prescribers and dispensers. The measure would prohibit the smoking of marijuana for medical purposes, but it could be dispensed in other forms including pills and oils. Lawmakers heard emotional testimony from Cassie Everett, who held up a bag filled with the prescription medications she takes for her epilepsy. "I honestly just want a better option," she told the committee. "I personally have never tried medical marijuana. But I would like to have the choice." Another supporter, Eric Crawford, told lawmakers that he already uses medical marijuana as an alternative to opioids to deal with pain and muscle spasms. Crawford suffered spinal cord injuries in a vehicle crash more than two decades ago. "I am viewed as a criminal in the state I love," he said. Crawford, who lives in Mason County in northern Kentucky, said he sees medical cannabis as a "self-preservation tool for the longevity of my life." The bill's sponsors made several concessions to build support. They took out a provision that would have let people grow a limited number of marijuana plants to meet their medical needs.